Home Knowledge Base Family Law & Divorce Divorce Finances Splitting: is Divorce really only for the Wealthy? The new BBC drama The Split has generated press attention focusing on the hourly rates, designer labels and celebrity clients of the ‘top flight’ London divorce lawyers. Mention of hourly rates of between £600-£900 would certainly seem to put these lawyers out of the normal person’s price bracket. Alongside this, the media has for some time headlined the eye watering costs incurred by some divorcing couples. These are often cases where the judges have been harshly critical of the money spent by parties fighting over an ever decreasing pot. In most of these cases, however, the available pot ran to a number of millions, so again, far removed from Mr and Mrs Average. Or is it? For some couples, it can very much depend on postcode, or area of business. Rising house prices in some parts of the country, even outside London, have given couples a greater wealth on paper than they might have imagined when they started married life. However, it doesn’t turn into surplus funds when each person needs to rehouse in the same locality (for reasons of employment and schools). Realising a sale of a 5 bed-roomed house at £850,000 still doesn’t give you enough if a 3 bed-roomed property costs £450,000, once you have factored in the costs of selling, buying and moving, not to mention replacement furnishings – not many couples have two cookers or washing machines! Or there can be the unexpected windfall, such as employees of companies such as ARM who suddenly saw their shareholdings turn into large amounts of cash. For some families, the business that has been built up over the years and provided a comfortable level of income is valued or is of interest to a competitor and there is a very large capital figure in place of the (or sometimes as well as the) previous income stream. It does appear from the reported cases that large levels of legal costs are run up where there is a point of principle in dispute or where one party is not co-operating with the process, usually by not being honest about what is available for distribution. It is yet to be seen whether the lawyers in The Split are going to encounter cases like these or whether their clients, because of wealth or status, choose their lawyers as they would any other designer label. Fear of legal costs is a reason frequently given for people not using a solicitor in a divorce. A number of people that I have met at first interview tell me they are expecting costs of upwards of £20,000. In reality, there are only a few cases each year that run up that level of costs. Mr and Mrs Average, if they each use a lawyer or mediator focused on a realistic outcome, could reasonably expect to spend a quarter of that sum. These are still big figures to come out of a family’s resources so there remains the temptation to believe that DIY divorce, without a lawyer’s help, is a sensible step. Some people believe that the court itself will check their paperwork and stop them making mistakes but given that court staff are not legally trained, that simply is not going to happen. The press have recently reported a number of cases where people have been granted a divorce where the petition was issued in the first year of the marriage. 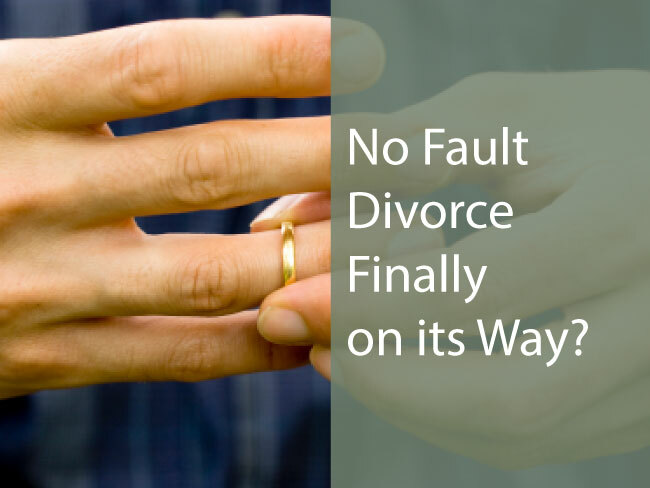 Divorce is not legally permitted until a couple have been married a full year so these divorces are void meaning the parties remain married to each other, so any remarriage is also void – and bigamous. Starting a divorce petition relying on a ground of separation a day too early. Relying on the grounds for the divorce as conduct in the financial proceedings. Be clear as early as you can what can be agreed with your wife/husband and what cannot. I would also recommend reading the other family law articles on this site. They are there to help you, whether or not you are a client of this firm, covering matters such as collaborative law, rights in family breakdown, children, maintenance orders and more.